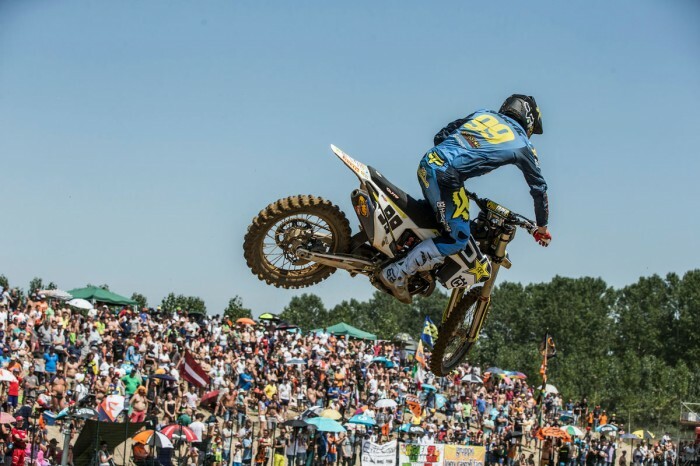 Max Anstie (Rockstar Energy Husqvarna) was on the podium for the first time this year at the weekend’s MXGP of Lombardia and the Brit was grinning from ear to ear. Anstie, who won both his motos at the Motocross of Nations at the end of last season, suffered a serious concussion at round three of the championship in Spain at the end of March. After sitting out three grands prix he’s struggled to get back on the pace so his podium at Ottobiano with a three-four score was a huge relief. “It’s awesome to be back up here,” he said. “It’s probably the worst start to the first half of the season I’ve ever had. Everything’s gone from bad to worse.